The Fidget Cube does the job. I fidgeted for minutes and even forgot I have it in my hands while I was working. I'm not the person that fidgets out of control (eating pencils, pens like there's no tomorrow) but I do have my habits of biting my fingers or twinkling my ear. 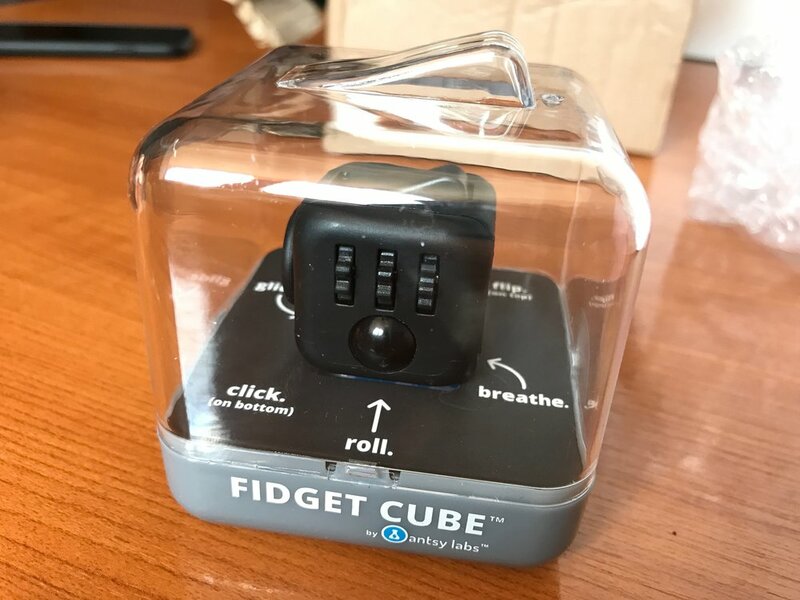 The best part of the Fidget Cube lies on its vast palette of controls. There's something for everyone and I mean it. There are dials, rolls, buttons, joysticks, switches, placeholders, spinners and the list goes one. You'll find a side to keep you occupied. Moreover the controls are made in such manner you can either be noisy or silent. Your colleagues might hate you or they won't feel a thing. I went with the full black paint job to use it for both formal and casual times, while Flavian went with an extra touch of color. The only downside in my opinion is that is a bit too small. On the other hand, I've seen knock-offs that were too big to handle. It's easy to forget where you put it and you might lose it. An extra key chain holder might do the trick. In terms of usage, it was a bit addictive at first, now it's just a recreational toy when I take breaks from working long hours in front of my laptop. If you have a few bucks to spare and you see it in front of your eyes I recommend you give it a try. You might enjoy it (damn that clicky wheel) or you might forget it in that drawer you never look.